Idaho is not a state where you would expect cities to agree with Michael Bloomberg and violate state gun laws. But that is exactly what is happening! We must stand up to these municipalities and demand compliance with the law and we’ll tell you how you can help in just a minute. But first, let me give you a little background to it all. This means that local municipalities are forbidden from enacting ordinances or posting signs regarding firearms and ammunition that are stricter than Idaho law. So, places like City Hall, Libraries, Public Parks, and any other publicly owned building or land controlled by a local municipality, CANNOT ban the sale, possession, or discharge of firearms in self-defense! Signs like this one below are illegal. But, it all started when the ISAA formed in 2012 — I asked the legislature whether or not these cities and counties knew about the law. The legislature told me that they didn’t notify them of it and they likely didn’t know the law existed. So, the ISAA took on the task of finding out which municipalities had violations still on the books or had signs posted in violation of the Preemption law. We began the “Preemption Project” for Idahoans. I was shocked to find that dozens of cities/counties were still violating this law nearly 5 years after its passage! To date, the ISAA has reached out to over 56 municipalities and informed them that they have violations. We are happy to report that approximately 41 of them have already made the necessary changes. But to our surprise, some of them are refusing to comply with the law! How can this be happening in Idaho? Certainly, we expect this sort of thing from anti-gun cities in places like California and New York. But Idaho? Something must be wrong. But this is what Bloomberg is counting on. He has said he intends to drop $25 million on gun control all across the country. Nothing could make Bloomberg happier than Idaho cities or counties telling gun owners they will keep their illegal gun control ordinances in place. One of the first cities to tell the ISAA they wouldn’t make the necessary changes was Coeur d’Alene. They had a ban on the carrying of firearms within 1,000 feet of a parade. This was a clear violation of the Preemption Statute. We reached out to the City of Coeur d’Alene and informed them of their violation and they refused to change. They told us that they will change it when someone sues them. We told them we would consider doing so. The city then asked us to wait until they talked to the Attorney General about the ordinance. The Attorney General informed the City of Coeur d’Alene they were wrong and that their ordinance must be changed to comply with state law. Victory for Idahoans and the residents of Coeur d’Alene! But they aren’t the only ones. There are other cities. As you can see, these are cities all across Idaho. And with another 12 cities/counties that we are currently reaching out to, there could be more. It takes a lot of time and resources to do this Preemption Project and we know it is important to all of you that every Idaho city/county complies with the law! First, we need you to keep an eye out in your city/county for violations of the Preemption Statute. Whether it is public buildings or other public places such as parks, we need you to inform us of violations! Second, the ISAA will be going to City Council Meetings in the cities listed above and we’ll need you there when that happens! We’ll keep you informed of those dates. Finally, in order to help us mobilize gun owners to help pressure these cities, please consider a generous donation of $100 or $50 to keep the Preemption Project going! If that is too much then please consider a simple donation of $25 or even just $10 today by clicking here! We need you to help us make a difference all across Idaho. Many cities and counties have already made the necessary changes and likely a place you live in! Help us get all of Idaho’s municipalities in compliance! P.S. With Bloomberg promising to push gun control all over the country, we must do our part to keep Idaho strong. That’s why we are continuing our Preemption Project in 2017 to keep Idaho cities/counties in compliance with Idaho’s firearms laws. 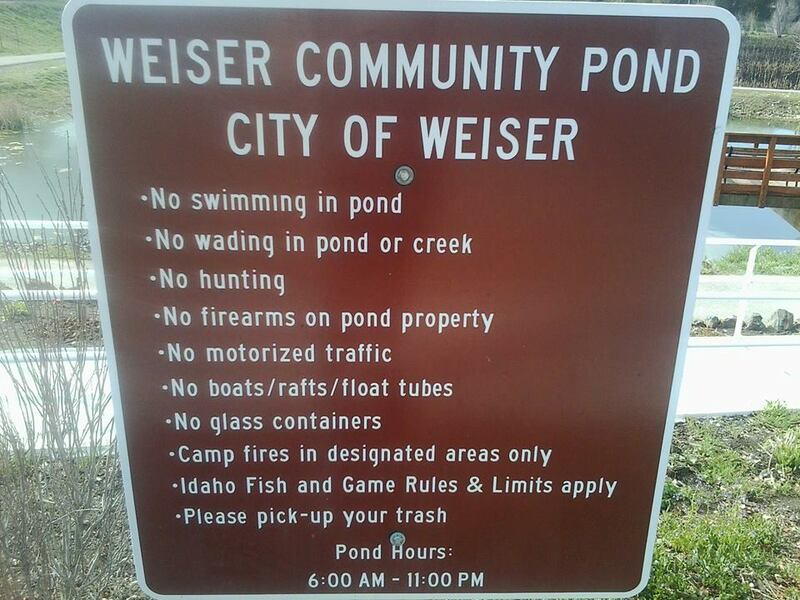 Even though we have had over 50 local municipalities change ordinances or remove signs, we have work to do. We currently have 6 cities REFUSING to change their ordinances and we can’t let happen! Please help the ISAA mobilize gun owners in this fight by donating $100, $50, or even just $25 today. And please let us know if you see an anti-gun sign on a publicly owned building or in a public park by emailing us at [email protected] today.